This tutorial was written by me on 16th of May 2016 any resemblance to other tutorials is a coincidence. Gorgeous tube by Nocturne called Strings. 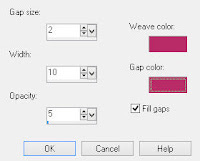 Strings has 6 different colored layers. You can buy the tube at PFD here. Template by Sylvie (sylly creationz) here. Texture of choice - I used Vix_Texture5 here. Press Shift & D to make a duplicate of the template and close off the original. I know the template is big but we will be resizing when we finish. Copy your tube - Paste as a new layer on Template. If you are using the same tube as me Image - Resize 42%. 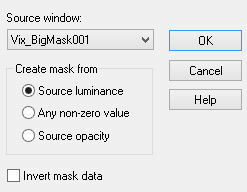 Layers - Duplicate - Adjust - Blur - Gaussian Blur 2. Change the Blend mode to Screen & Lower the Opacity to 60. Copy tube & Paste to your template. Move so something you like is showing inside the selection. 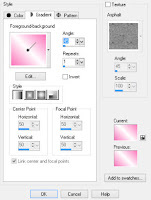 Floodfill Tool - Make a Gradient using a color from your tube (I used #fc71b9) and white. 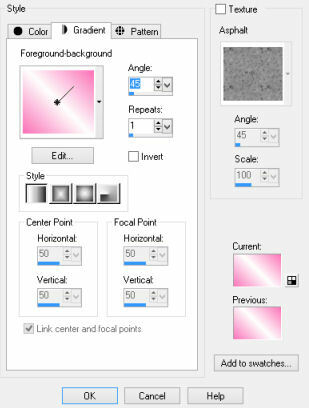 Fill Pink Square Left with your gradient. Copy tube & Paste to your template - Image - Resize 60%. Move so that what you like is showing inside the selection. 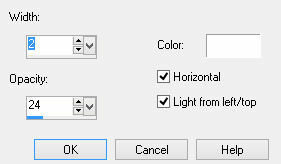 Change the Blend Mode to Screen - Lower Opacity to 50. Effects - Texture Effects - Blinds. Selections - Select All - Float - Defloat. Copy tube & Paste as New Layer to your template. Effects - Plugins - Penta.Com - Jeans. Copy Vix_Texture5 - Paste as New Layer. Move around so what you like is showing inside the selection. If you want to add a masks follow these steps in the brackets. 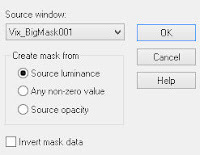 Find yoru mask in the drop down box. If you don't want to add a mask. Add your Copyright & Name.